Olympiacos Piraeus will play for its second Euroleague title on Sunday after surviving an overtime thriller to beat Partizan Belgrade 80-83 in the second semifinal of 2010 Euroleague Basketball Final Four at the Palais Omnisports de Paris-Bercy in the French capital on Friday evening. The Reds will play Regal FC Barcelona, which defeated CSKA Moscow in the first seminal earlier in the day. The Reds forced overtime on a Josh Childress offensive rebound and dunk in the closing seconds of regulation and then rode the foursome of Childress, Linas Kleiza, Ioannis Bourousis and Milos Teodosic, who scored 4 points apiece in overtime, to secure a remarkable win. The game was the first semifinal to go to overtime since 2004. Alphonso Ford Top Scorer Trophy winner Kleiza paced the Reds with 19 points and 11 rebounds, Childress and Teodosic added 17 points each, Sofoklis Schortsanitis scored 11 and Theo Papaloukas tallied 10 points and 5 assists for Olympiacos, which lost in the Final Four semifinal last season and has not lifted the crown since 1997. Partizan, which is appearing in its first Final Four in 12 years, got 21 points, 4 assists and 4 steals from Bo McCalebb. Aleks Maric had 17 points, 8 rebounds and 2 blocks, Jan Vesely posted 13 points, 10 rebounds, 4 assists and 2 blocks and Dusan Kecman scored 11. It was a dream start for Partizan led by McCalebb, who fed Lawrence Roberts inside for the game’s first points and then brought the singing Partizan fans to their feet with a steal and impressive slam. Slavko Vranes kept the momentum going Partizan’s way when he rejected Schortsanitis. However Vranes was soon sitting with 2 early fouls and Kleiza hit a jumper for the Reds’ first points. Kecman was fouled shooting a jumper and sank a pair of free throws and Maric added 2 more from the line before taking a dish from Vesely and throwing down a two-handed jam to make it 10-2 as the Olympiacos fans quieted. 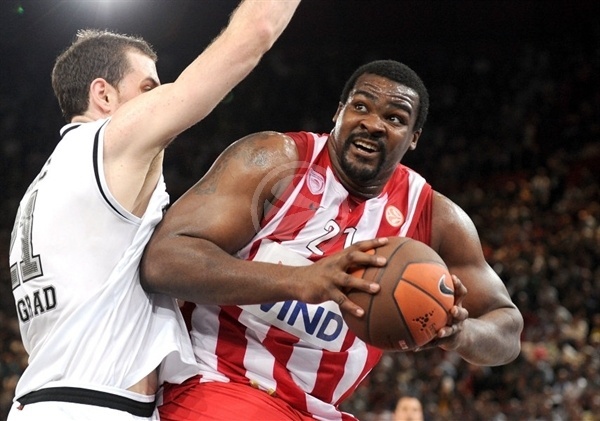 A TV timeout gave Olympiacos time to regroup and soon Schortsanitis muscled his way to 2 points. Childress followed with a score and the Reds started to settle down. Roberts battled for a basket on the offensive glass, but Schortsanitis matched him. Basket by basket they continued with Vesely getting his on a second chance and Papaloukas using a nifty fake to get a layup. 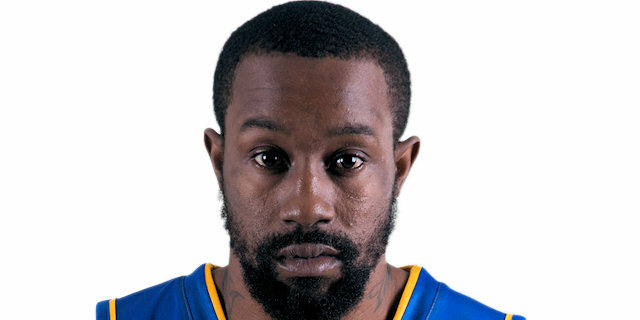 McCalebb drilled a triple, but another Papaloukas bucket kept Olympiacos close. Teodosic brought his team within 17-15 by closing the first quarter with a triple. After a brief rest, McCalebb sliced through the Olympiacos defense for a basket. Childress skied high and attacked the rim at the other end, missing the slam, but earning 2 free throws that he turned into 2 points. Then Vesely lofted a pass to Maric for a slam. The physicality of the game kept the pace slow, but the intensity high. Teodosic free throws and an Ioannis Bourousis triple knotted the score at 22-22 midway through the quarter and signaled to Partizan head coach Dusko Vujosevic to call timeout. The breather seemed to help as Petar Bozic popped a three from the top of the key. Papaloukas countered by drawing a foul from Bozic and sinking a free throw and then faking the same Bozic and going to the rim for a basket-plus-foul and Olympiacos’s first lead, 25-26. Big Sofo hauled in an offensive rebound and fought for a basket and a foul as well. He missed the resulting free throw, but Patrick Beverley got the rebound and Teodosic took advantage to drain a three for a 5-poimt Olympiacos edge. Vesely scored for Partizan, but Kleiza hit a jumper to put Partizan up 28-33 at the break. Schortsanitis continued his strong play inside with the first basket of the second half, but Vesely shined with a bucket and then a pass around Schortsanitis to Maric for a dunk. Maric put a hard foul on Big Sofo, who missed both free throws. Kleiza added a basket for the Reds, but Vesely continued his strong night with a basket-plus-foul. Schortsanitis found a cutting Kleiza for a slam, but Kecman didn’t le that stop him from drilling a three and getting the Partizan fans going. 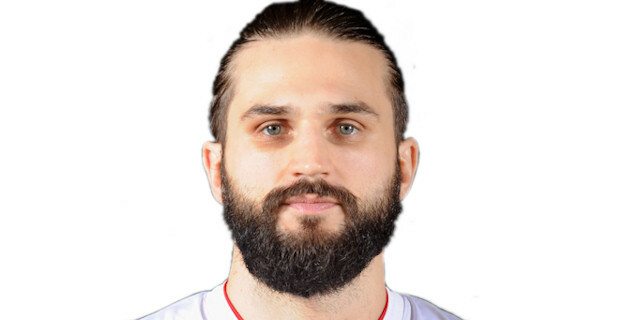 Kleiza remained the Reds’ chief offensive weapon, drawing fouls from Vesely and Roberts and sinking 3 free throws. McCalebb soared high and tried to dunk on Bourousis, who committed a foul stopping him. Bourousis in turn was fouled by Vranes, who was rejecting his shot. 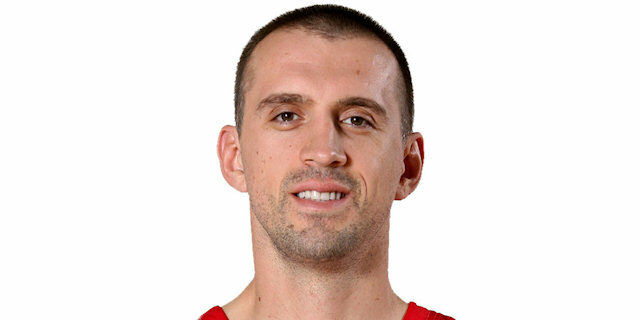 Teodosic connected from downtown to put the Reds ahead 40-47, however Bozic did the same for Partizan. 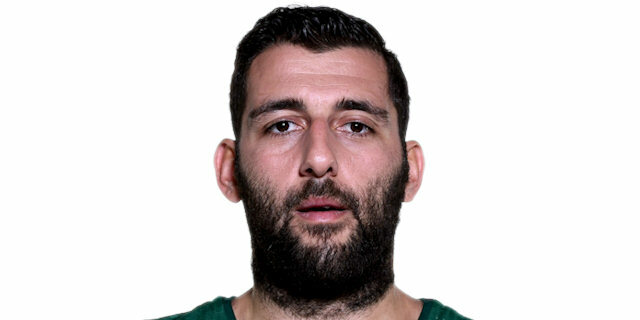 Kleiza grabbed a missed Bourousis three and scored. Maric followed with 2 free throws, but Papaloukas fed Schortsanitis for a slam at the other end. McCalebb came up with a steal and raced downcourt for an impressive slam, but seemed to hurt his leg and left the court limping. Still Kecman fueled Partizan with a triple to bring his team within 1. After a Schortsanitis free throw, Bozic fed Maric for a slam that tied the game at 52-52 at the end of the quarter. Rasic attacked the basket and fed Maric, who scored and drew a foul to the delight of the Partizan supporters. Then McCalebb came back in after spending several minutes getting treatment on the Partizan bench. Kleiza countered with 2 free throws, however McCalebb showed his leg was fine with a drive to the hole and scoop shot. He then grabbed a loose ball and zoomed to the room, where only a Childress foul stopped him. Still the Partizan guard put his team ahead 58-54 with a free throw. Maric came up big twice on the defensive end before McCalebb sank a jumper. Papaloukas found a hole and scored and Childress also exploited an opening in the Partizan defense for a basket. Childress soon added a free throw to get the Reds within 60-59. 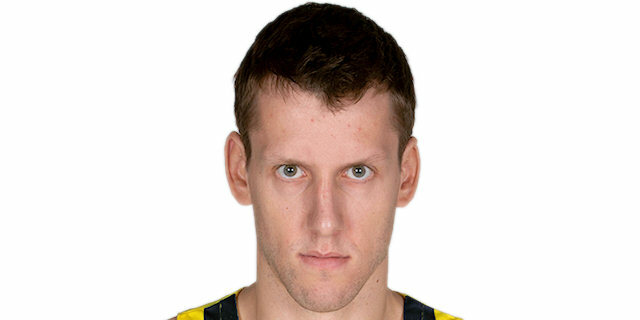 Just when it looked like Partizan was done, Vesely skied for a rebound and threw down a jam. Childress went to the basket and Kleiza fouled Roberts as the teams traded blow for blow. A perfect pass from Papaloukas allowed Childress to give Olympiacos its first lead of the fourth quarter, 62-63, with just over two minutes remaining. Partizan stayed tough, but missed jumpers on its next two possessions. Teodosic scored twice from the line to make it 62-65 with 47.3 seconds to go. Kecman, the only defending champion at the 2010 Final Four, drilled a clutch triple to tie it. Teodosic missed a jumper at the other end and Roberts gathered the rebound. McCalebb charged down the floor and dropped in a layin with 6.8 seconds to go that gave his team a 67-65 edge. Olympiacos called a timeout to plan the last play and gave the ball to Teodosic, who threw up a wild three, but Childress was there to grab the ball in the air and jam it in with 2.6 seconds left to force overtime. 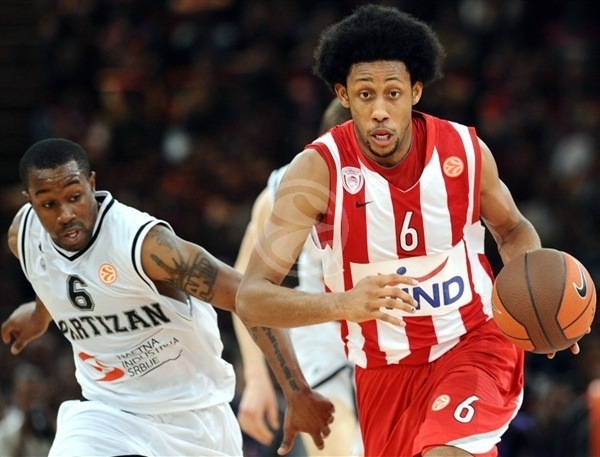 Childress was fouled going to the hoop and made 2 free throws to put Olympiacos up at the start of the extra period. Maric countered with a single free throw. Kecman fouled out and left to a standing ovation from the Partizan fans. Childress tacked on 2 more free throws, however Bozic did the same for Partizan. Papaloukas dished to Bourousis for a slam. Maric and Roberts collided trying to save a ball and Bozic needed to foul at the other end, committing his fifth and also taking a seat. 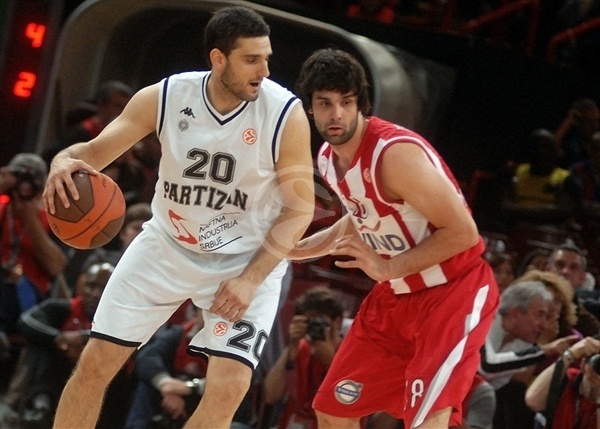 Kleiza scored twice more from the line as Partizan started to fade. McCalebb got to the line and made it 72-75 with 2:16 remaining. Kleiza applied a spin move for another Olympiacos basket and McCalebb handed off to Vesely for a basket-plus-foul that made it 75-77. Vesely rejected Kleiza at the other end, but Bourousis saved the Reds three times with offensive rebounds that helped kill the final minute. With 29.5 seconds left, Bourousis sank 2 free throws to make it a two possession lead. Rasic stepped up with a clutch three to bring his team within 1 with 16.8 seconds to go. 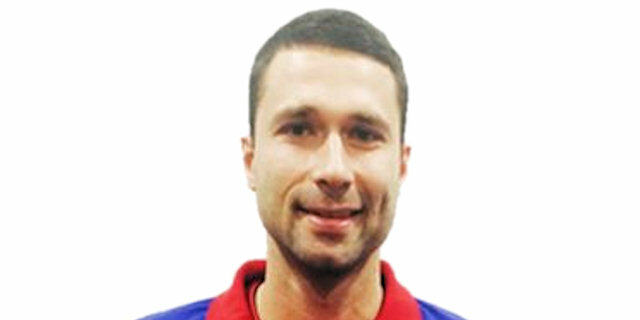 Partizan sent Teodosic to the line with 9.5 seconds remaining and the only Serbian on the Olympiacos roster was up to the challenge. Partizan called timeout and planned a shot for Rasic, who was fouled before he could get the shot off. Rasic sank both with 6.1 ticks left on the clock. Partizan then fouled Teodosic, who made 2 with 5.2 seconds left. 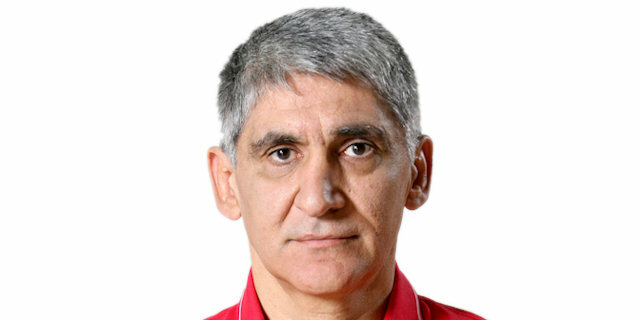 On Partizan’s final possession, Rasic broke open for a three-point shot, but it rimmed out and Olympiacos was the last team standing, and headed to face Regal FC Barcelona in the Euroleague title game. "I am very very proud of my players. not only this game, but the whole season. We played all 45 minutes, giving our maximum with great defensive sacrifice, with help, with team play and without egos. Behind us we have a season with lots of success. Some of the games we won with luck. If we are conscious of that, we also have to be conscious of a lack of luck in this game. 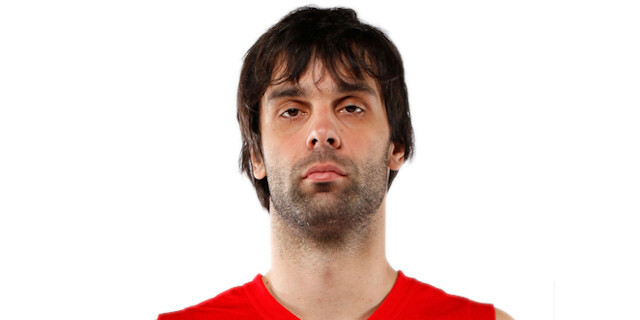 If Teodosic's shot had touched the rim, there wouldn't have been time for Olympiacos to get the rebound. We saw the experience that Childress and Papaloukas showed and I think that my players have learned something tonight. In basketball, it's a fine borderline between good luck and bad, between happiness and sadness, and tonight we were on the wrong side of the line. Now the final to be played Sunday will be one that was much-anticipated by lots of people. We have tried our best to get there and really wanted to play the final. Unfortunately for us, we won't, but I think we will learn a lot from this and we will be ready to play our game for third place." "Hello everyone. This evening we saw a wonderful game. I think it was kind of a wonderful showcase for basketball. The Partizan team that had made such surprises all year played with the same passion to try to win against us. Of course, we were the favorite. We knew that and it put added pressure on us. It also meant we had to show quality basketball while fighting against a team that was highly motivated and full of passion all season, Partizan. The people watching the game were lucky. They saw a fantastic game. We wanted to fight and try to get offensive rebounds, and we did, and that turned out to be the key for our success. At the beginning of the match, thanks to their enthusiasm, Partizan had a lot of fastbreaks and got a big lead. The we got even and went ahead. And we did it the same way that Partizan won games earlier this year, with offensive rebounds. As for my players, I think they had a good balance between patience and passion. It was a wonderful victory for my team." "My team was patient, as I said. They also showed a strong will, which anyone who watched could certainly see. We were favored, as I said, but our rivals were playing with their same passion and able to take a lead. But I was pretty sure this game would be close, with a basket maybe making the difference. I asked my players not to foul and give easy points to them. I asked them to run well, both on offense and defense. And we tried to confuse Partizan. We knew that if we had an answer to their defensive rebounds, we'd have a chance. But it was tight, very tight. Both of the teams were there to battle." "I am extremely proud to be part of this tournament. The finals on Sunday will be another opportunity for my players to show what they can give and do their best. They have the capacity to win, of course, especially if they rebound well, as they did today. Barcelona is not a new team for us. For many years, they have been trying to win the title. It's a team that has been bulit strong and always plays high-quality basketball. 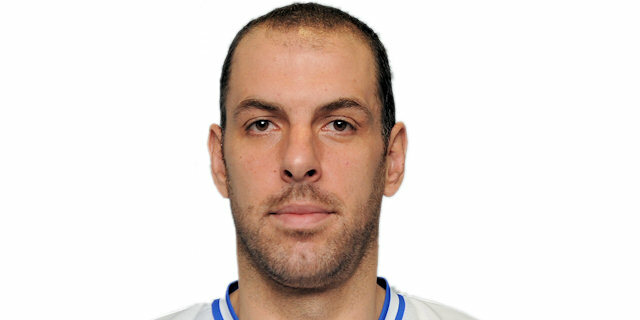 This year they won twice against the defending champions, Panathinaikos. On Sunday, we will need to focus for 40 minutes, because it will be an extremely tough game. But we can win. We have our chances, just as Barcelona has chances. They played and won major games but I think that these two teams are here in the final because they consistently play well." "We lost the concentration in the worst moment and that costs us the game. I really disappointed and it is really hard to find the words right now. We lost the focus in the decisive moments. Now we have to do our best in the third place game and try to please our fans with a win. We are disappointed, of course, but will try to get a win for our fans against CSKA." "We played a good game and it is a shame that we didn't get to win it. It was played hard by both teams, with great fans on both sides and it went to overtime. We had the chance to win the game in the last few seconds of regulation and Bourousis came up with big rebounds late in overtime. We cannot do that if you want to win a game like this. 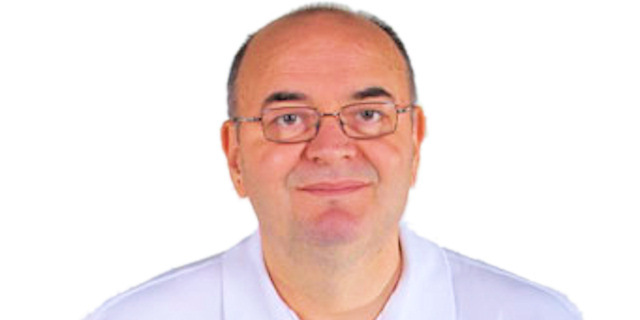 You cannot allow them to get three offensive rebounds in a row - it costs you the game. We have to get better. 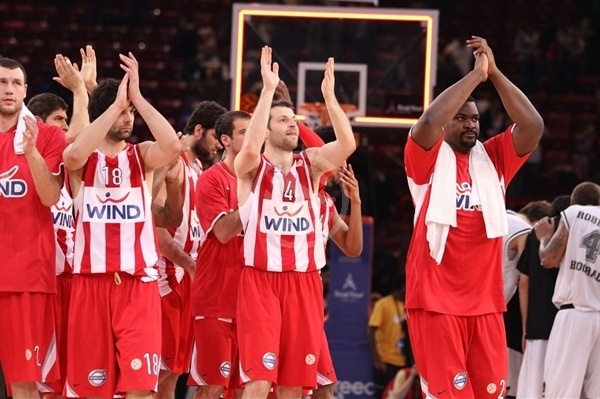 We had the game won but Olympiacos' rebounds made the difference in overtime." "Playing the Final Four is great but of course, we have to be disappointed right now because we had the chance to win the game and couldn't do it in the end. We had a good chance to win the game and led for the best part of the fourth quarter. We played a good game, with intensity and keeping control but came up short in the end. It is tough, but we have to be ready to face CSKA and get a win for our fans on Sunday." "It is tough to lose this way, when we had a big chance to win it at the end of regulation and couldn't finish the job in overtime. We showed what we can do as a team but was not enough to win the game, so we cannot be satisfied. We try to win every game we play. The third place game gives us the chance to play against a good team and get a win for our fans, who came all the way from Belgrade." 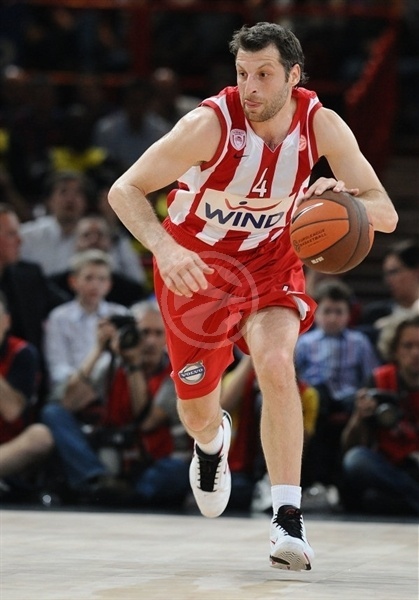 "This will be my first Euroleague final with Olympiacos and it's going to be very exciting. Now I want to win the title with them. Partizan played very well, and had a great chance to win, but we were more focused and did the right things to take this game. Everybody put effort, and I think the long bench helped us today. It was a team effort and different players stepped up in different times. We play as one unit and we want to get this title for our fans who support us all the time. It's just one more game to have a great finish to a great season." "Last year we lost the semi-finals so it was very important for us to come here and win this game. We knew it's going to be very difficult, and when they held a lead in the last quarter we were a bit under nervous, but we made the right moves to recover. If we don't win the title we didn't do anything today." "You'll have to ask Milos if the last play in the fourth quarter was a pass or a shot, but I think he tried to shoot and the ball was a little short, so I was just there to catch and dunk it. We're very happy to make it to the final. We knew it's not going to be an easy game. Partizan is a very tough team, and they make it difficult to play against them. We managed to find the good rhythm and the most important thing is that we won." "We didn't think it's going to be easy for us to beat Partizan, and they made sure we won't forget it. They played very good and gave us a big headache, but we managed to get this win and that's what counts. I think I owe Josh my life for saving me. I tried to win the game, but I saw the shot was going to the left, and I didn't know what to think, but all of a sudden Josh came out of nowhere and dunked it. Luck always have something to do with the game, and today luck was on our side. I hope we'll have it with us also on Sunday night." "It was a very exciting experience for me to play in this game. Someone told me I'm the youngest US player to ever play in the Euroleague Final Four and it made me feel honored to be here. Partizan gave us a hard time already during the season so I don't think nobody under estimated them. Things seemed difficult at some point, but we didn't fall apart. I saw the last play of the 4th quarter from the bench, and it didn't look good at first, but then Josh made a great play and turned it into an alley-oop pass."